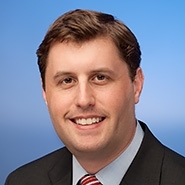 Preti Flaherty attorney Adam Shub has been elected Vice Chairman of the Real Estate Commission for the State of Maine. Adam was appointed to the Commission in 2013 by Governor Paul LePage and has been reappointed to serve a second term, which will conclude in 2016. He was elected by the Commission's membership to serve as Vice Chairman at their January 16 meeting. The Commission is responsible for licensing real estate agencies and brokers, adjudicating alleged broker misconduct and imposing sanctions, and for setting curriculum for continuing real estate education requirements. In his legal practice, Adam focuses on real estate disputes, creditors' rights, and bankruptcy matters. He lives in Yarmouth with his wife and two sons.